Looking to improve your restaurant’s social media presence? Start by encouraging your guests to take more photos of your location. When guests share their in-location experiences on social media it acts as a positive referral from that person about your business. 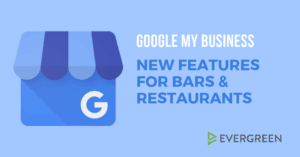 It’s essentially digital word of mouth, and it can make a world of difference when trying to drive more foot traffic to your location. Social media is an important instrument for growth and awareness for bars and restaurants. 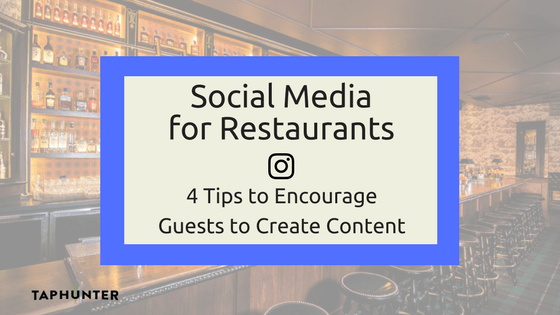 Being present and engaged on networks like Instagram, Twitter, and Facebook helps new patrons discover your place and enables loyal guests to interact with your business in new ways. Additionally, it aids awareness for your business to new audiences. Each of these new exposures creates a positive new endorsement for your location and it gives you more content for future promotions! Purposefully creating a photo opportunity-rich environment will engage your guests while they’re in-location as well as increase your discoverability online! Here are a few ways to encourage image sharing at your establishment. We’ve touched on why more photos from guests online can help your business’ social media marketing efforts; let’s now understand how we can encourage our guests to take more pictures by creating products and an environment that is more photo worthy. We’ll discuss tricks for beverage presentation, food plating, interior atmosphere, and creating unique photo opportunities for your bar or restaurant. Include beautifully crafted cocktails – consider glassware, color, liquid layering, and don’t forget those garnishes! Check out this mouthwateringly presented cocktail from D.C.’s Jack Rose Dining Saloon, notice the elaborate garnishes & amazing color! Carry a thick dark beer on draft? Don’t miss the opportunity to serve it with a small head design. A little clover, heart, or infinity symbol can go along way to creating precious moments with your guests. Any baristas in-house? Coffee drinkers love to snap photos of their hot beverages with decorated foam. Consider serving coffee with the delightful pattern or other garnishes to make a lovely morning photo! Take pride in your plated food, let your ‘foodie’ guests share it online. Use sauces and sides to make your dishes more visually pleasing and your food-loving guests will repay you with lots of endorsements via social media photos. Check out The Neighborhood’s beautifully plated chilaquiles special! An elaborately sized or decorated dish makes guests want to show their friends where they went that day! Think of the large meal challenges – there are always friends there to encourage and take photos of the guest. Be thoughtful about the elements of your location that are more prone to guests’ photo shoots. Create these environments near the entrance to encourage photography and to eliminate the disruption near other guests. Consider the lighting in your business. Low lighting is great for ambiance but perhaps not for capturing the moment in a photo. If you are able, keep the lighting low in the areas with deuces and 4 tops and make it a bit brighter in the larger tables for groups, parties, and events (when photos are most likely to be taken). As they say, show don’t tell! Consider sharing Instagram posts that tag or mention your business on digital menus. 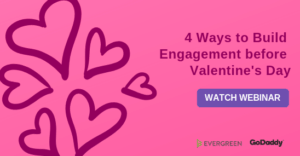 Evergreen’s digital menu technology includes a plugin that lets you automatically pull in patron content. When people see others doing this, they’ll want their chance to get up on the big screen! Holding unique events can help encourage photos, especially when they are one-off occasions. Guests are likely to capture your event with images and share with their friends who are missing out on the fun. Event types could include holiday-themed visitors (leprechauns, Easter bunny, Uncle Sam etc), animal charities, or themed staff dress up days. In-house signage that encourages your guests to take photos of each other (neon signs, posters, sculptures, etc) are excellent for business promotion. A great example is this bright pink neon sign from Modern Times! Guests are likely to snap a picture of this sign and post to Instagram because it’s visually and emotionally appealing. TVs with picture provoking slides enable photo sharing online. Fun quotes or phrases that encourage guests to share pictures of themselves and their friends. Ones that we’ve seen include “You wish you were here” and an arrow with “I love this girl”. These types of slides make it feel natural for your guests to brag about your location to their connections on social media. Now that we’ve got a handle on how to get more of your customers to take photos at your bar, now we need to help them share! Remember to encourage guests to tag your business in their pictures (staff members can be instrumental with this because they’re often the ones being asked to take the photos). Make sure that your social media profiles are easy to find and ready for guests to tag in their photos. You can also utilize a branded hashtag! Post the hashtag around your business to make guests aware of it and run specials based on hashtag participation. Want to improve your bar’s social media marketing? Provide more reasons and opportunities for your guests to take photos of your location, products, and even your staff! When shared, these photos will translate to a broader digital presence for your business and have new customers become loyal customers. Have more fun examples or something to add? Join the conversation on Facebook!